Our family was poor when I was growing up in Germany, so we ate garden vegetables for many weekday meals. When mother made meat for a Sunday dinner, it was a terrific treat. 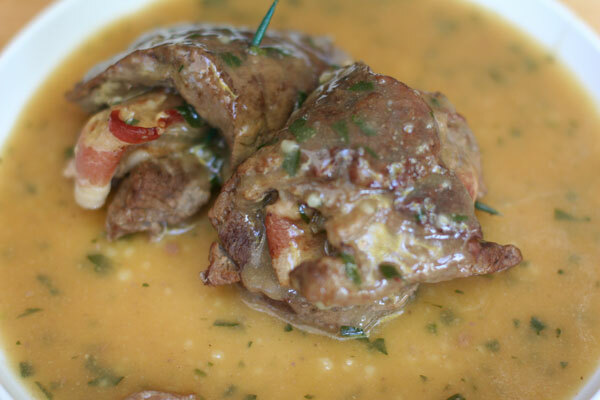 My favorite is this tender beef dish, which gets great flavor from Dijon mustard. In a large skillet, brown beef in oil until no longer pink; drain. Add broth; bring to a boil. reduce heat; cover and simmer for 1 1/2 hours or until meat is tender. Remove meat and keep warm. Combine flour and water until smooth; gradually stir into broth. Bring to a boil, stirring constantly until thickened and bubbly. Remove toothpicks from rolls and return to gravy; heat through. Sprinkle with parsley if desired.